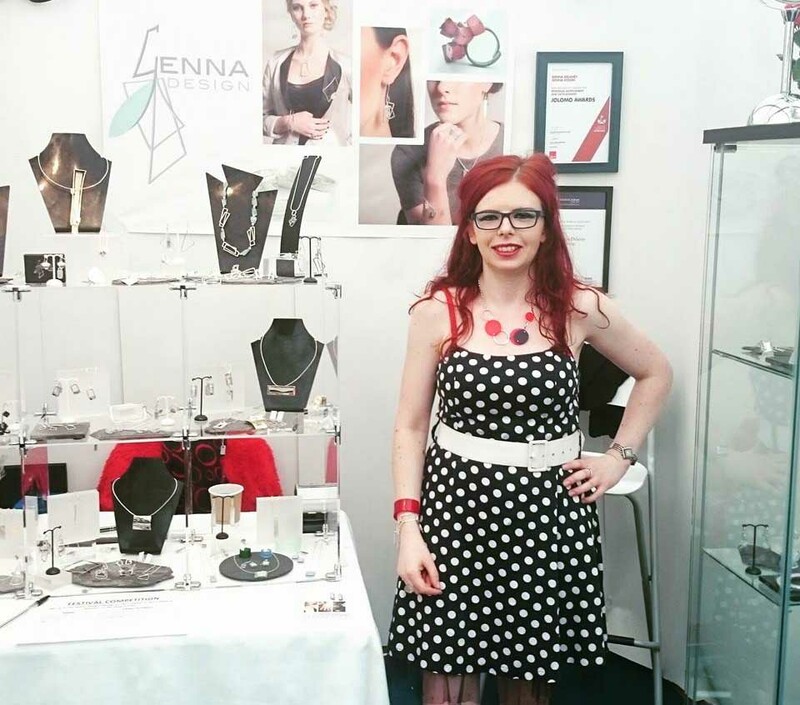 It’s the perfect time to update you all about the exciting changes at Genna Design! You may or may not know that I recently launched a Kickstarter campaign to enable me to raise the necessary funds so that I can create a BRAND NEW jewellery collection. The campaign was to raise £1500 and ran for 4 weeks from June – July, I’m so excited that it was hugely successful and made it possible for me to purchase the Anarkik 3D Cloud 9 software and Haptic Mouse that goes with it. This new technology means that I can create a new 3D printed jewellery collection which is a new and exciting concept. I want to say Thank You to everyone that pledged and helped me reach my goal! As well as this, I have moved to a new studio! I’m still based at WASPS in Dundee but now located on level 2 of the building, it’s a much bigger space and I am currently adapting it so that I can make it my own. 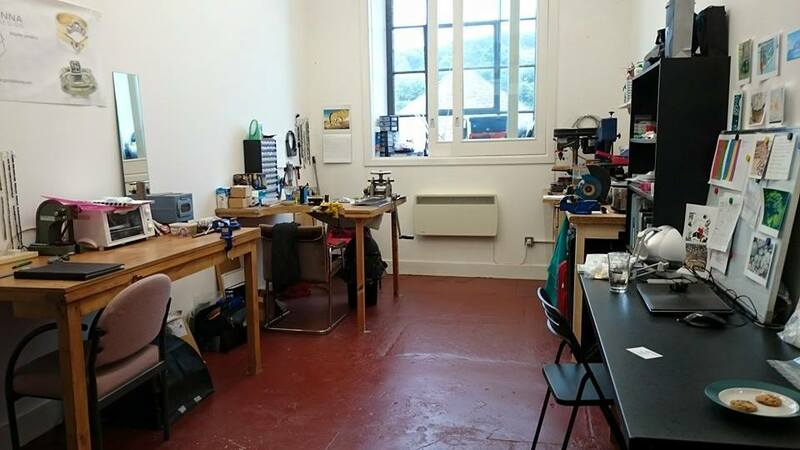 I have already painted the floor red, had new work benches constructed and started to give it that homely feel (which is very important of course!). I have a few more finishing touches so that I can have it just the way I want it, but I can’t wait for everyone to see it! So lastly, most of you will already know the importance of this time of year for Genna Design… We are already into the first week of the Edinburgh Festival! This is my biggest show of the year and I have been preparing for it over the past 2 months, making lots of new pieces to entice you. If you haven’t visited Edinburgh during the festival then I would highly recommend it, the atmosphere is simply buzzing! There are more stalls than you can look at, lots of interesting foods to try and a choice of thousands of shows to go and see. I’ll be situated in the marquee of 3D2D West End Fair, which is right next to St John’s church. (corner of Lothian Road and Princes Street, I’m in the marquee at the top). It’s a 3 week event for me and runs from Saturday 8th- Sunday 30th August, open from 11am -6pm each day. So I’d love to see some friendly faces and also some new ones. If you know anyone that is looking to buy jewellery then you know where to send them, my pieces are perfect for gifts or if you’d just like to treat yourself. I’ll have my classic collections with me but also some new exciting pieces that I’m certain will appeal to many! Thanks for reading and I hope to see you at the festival next month!